When it comes to the construction of your VW interior, I take a highly personalised and bespoke approach to ensure you get the perfect finish for your campervan. This begins by chatting through your preferences, discussing everything from materials and colour choices to practical details about furniture and storage. The result is an interior that’s tailored exactly to your tastes and lifestyle. 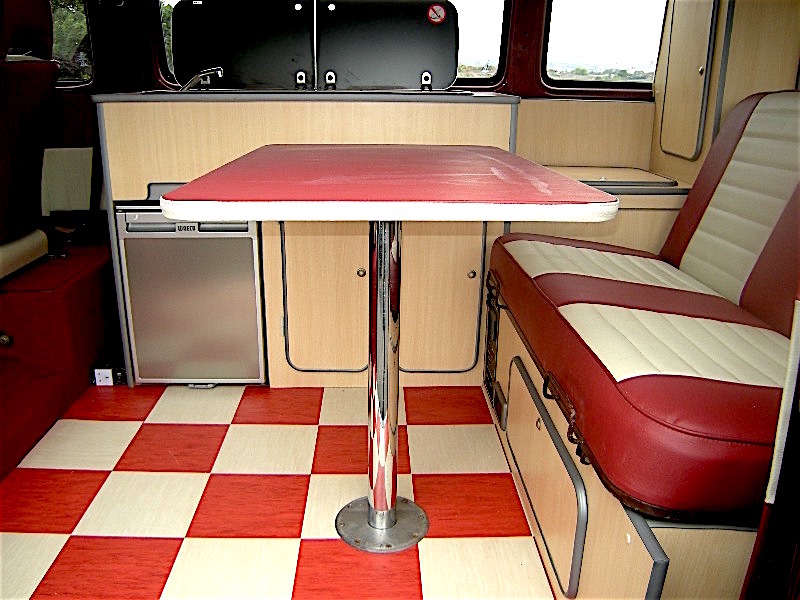 While most campervan interiors are mass-produced using machines, I prefer a traditional approach, using established cabinet-making skills and tools to create beautiful interiors, crafted with care and attention-to-detail. Every interior is carefully constructed by hand, using traditional techniques to produce a hard-wearing and attractive appearance. Good looking, long-lasting and incredibly lightweight, Vohringer board plywood is made in Germany and has been used in campervan conversions for over four decades. The great thing about Vohringer board is that it doesn’t delaminate over time. This means no separating or peeling layers so your campervan interior will continue to look great for years to come. Vohringer ply board has been used in manufacturing for over 40 years and has been developed to provide a hardwearing yet lightweight material to enhance the appearance of your campervan without adding unnecessary weight. This material comes complete with a hard-wearing laminate surface and the edges will be finished with an attractive edge trim, as you can see in the image. 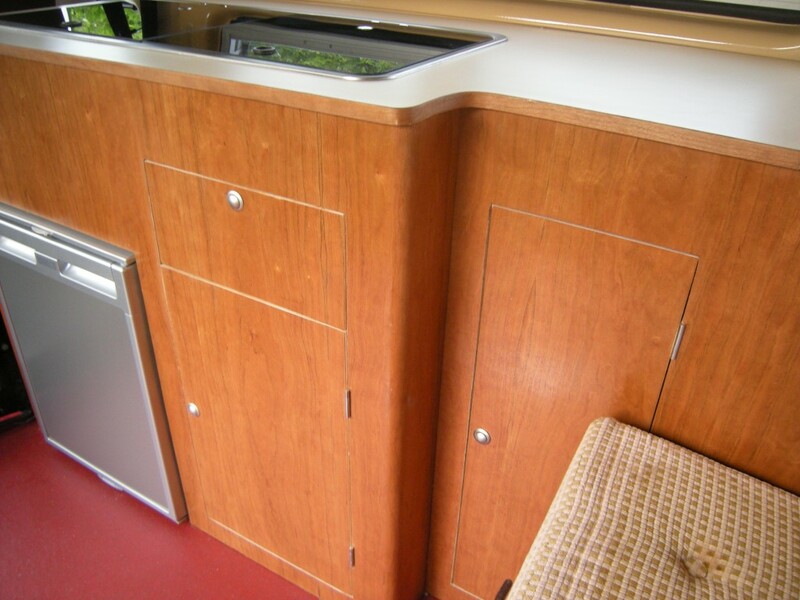 So versatile, birch plywood is a great choice when you want to customise the look of your campervan. With a fine grain texture, birch plywood has a rich sheen and is beautiful when left untreated for a natural look. Alternatively, it can be stained to give a bespoke finish in the colour of your choice or can be finished with a real wood veneer or hard-wearing laminate. Birch plywood is renowned for its consistent strength and durability, making it ideal for campervan interiors and furniture. It can even be used alongside other materials to create beautiful curves within your campervan. Using birch plywood there is no need for an edge trim as you can see in the image. I offer a wide range of colour choices. Take a look at the examples of laminates and wood options below and if you need any help finding the perfect colour, just let me know.